Since the members of top management of ITRC are professionally qualified, they very well understand the importance of quality. Though there is no thumb rule to measure the quality of education, ITRC has developed a scientific way to measure the same. We measure the quality of education by measuring every parameters which affects a student while he is undergoing training at ITRC. Right from infrastructural facility to training methodology as well as content of study material, ITRC ensure that best possible deliverables to its students. 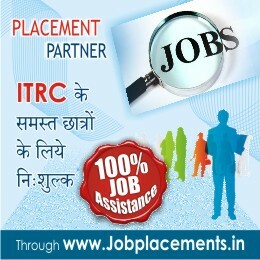 Unlike our competitor who generally gets their study material from publishers, ITRC has its in-house team to develop the same so that our student does not get the stuff which is already available in the market, instead they get a unique content presented in self learning method. This is just a small example of ensuring quality in education by us.